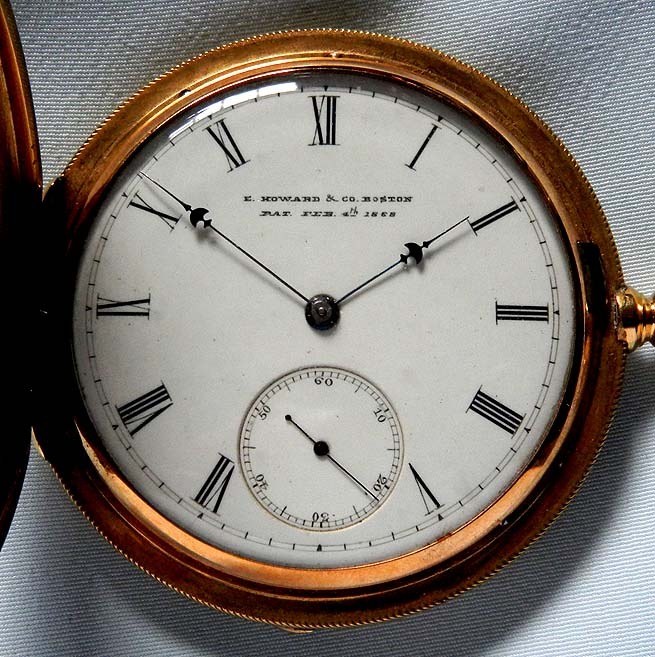 Good 18K gold N Howard antique pocket watch with important Civil War association, circa 1872. 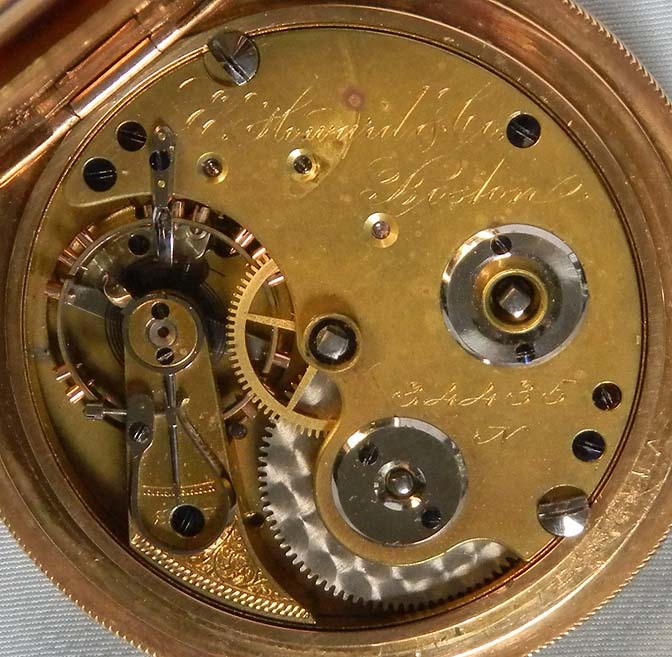 Engine turned and engraved case with overall wear and small dings. White enamel dial with blued steel Howard "umbrella" hands. 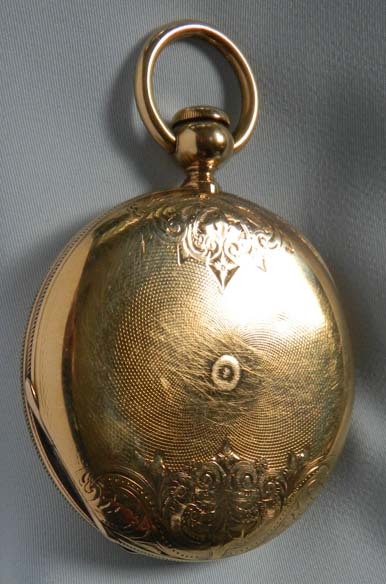 Gilt 15 jewel movement. 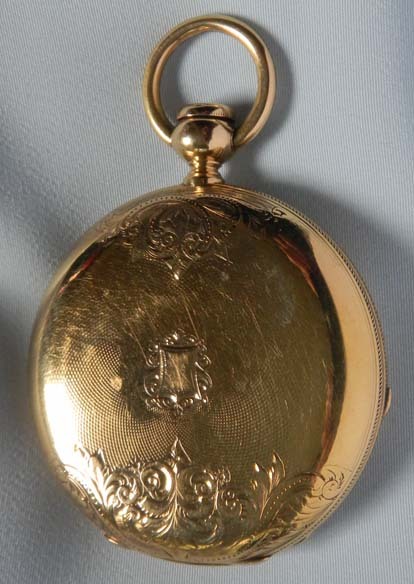 The underside of the cover is engraved ""This watch was bought by James Harrington Rogers Acting Ensign United States Navy, on board U.S.S. 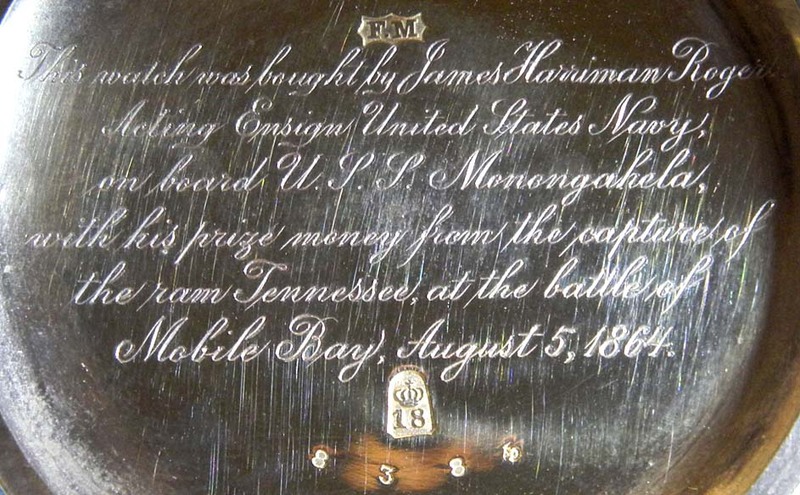 Monongahela, with his prize money from the capture of the ram Tennessee at the battle of Mobile Bay, August 5, 1864." The battle of Mobile bay was one of the most important naval battles of the Civil War. The Confederate ironclad ram Tennessee held off the Union Navy for quite some time until it was boarded and surrendered.